Career Highlights: Six Times World Champion, 1976 B&H Masters Champion, Twice Pot Black winner, 1982 Professional Players Tournament Winner, Twice World Cup Winner (with Wales), 1983 Yamaha International Champion, Twice Welsh Professional Champion. Known by the nickname of ‘Dracula’ during his 1970’s heyday, Welsh legend Ray Reardon remains one of the most successful players ever to have played the game and with his exceptional tactical nous and temperament, was a match for anyone in his era. Unfortunately for Ray his haul of six world titles is sometimes overlooked when compared to the feats of Steve Davis and Stephen Hendry but it is not his fault that his peak coincided with a bad time for the sport as a whole. You only have to look at his record during the 1960’s and 1970’s to see that he was a cracking player and more often than not he was able to see off what was put in front of him. Following his playing career he has maintained a presence in the game, notably assisting Ronnie O’Sullivan during the 2004 World Championship. Ray first picked up a cue at the age of eight, though as was the case with many players of his generation it was billiards that was to take up much of his time initially. Eventually though snooker began to take over and in 1950 he made the final of the Welsh Amateur Championship for the first of what would be six successive years as he won the title on each occasion. In 1956 however Ray and his family were forced to relocate to Staffordshire in pursuit of work and though he could still compete, just in the English Amateur Championship, it was to take him another eight years to finally capture the title, which he did with a win over a man who would become arguably his greatest rival, John Spencer. 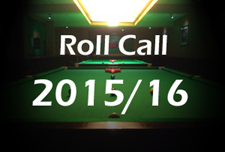 A year later he elected to turn professional and begin what was to prove a remarkable career. 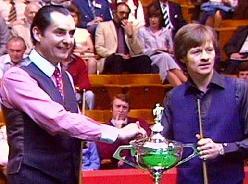 Turning professional towards the end of 1967, Ray entered the World Championship for the first time in 1969 as after a spell in the doldrums, the tournament reverted to the knock-out format recognisable today. 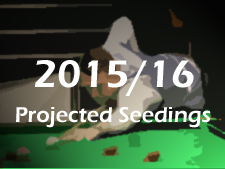 Entering the tournament at the quarter-final stage however, he was to suffer an agonising 25-24 defeat to seven-times champion Fred Davis and as old rival Spencer went on to take the title, he would have to wait another year for his first big chance. 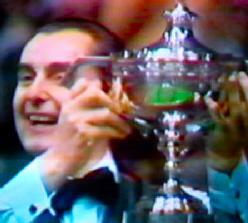 There in 1970 however things were to really fall into place for Reardon as following a revenge win over Davis and then victory over defending champion Spencer (who he had recently defeated to take the Pot Black trophy for good measure), he overcame John Pulman 37-33 to take his first World Championship title. As is typically the case with first-time world champions, Ray’s title defence in 1972 did not go to plan as he lost out heavily to that man Spencer before a quarter-final defeat to Rex Williams the following year put paid to his chances again. 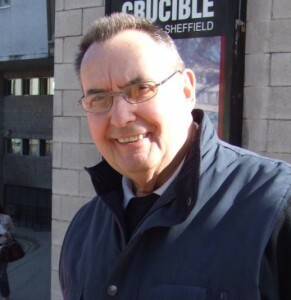 Despite the manner of these two defeats, they were ultimately to prove nothing more than a blip however as in 1973 he took his second world crown with victory over Australian Eddie Charlton and with subsequent final victories over Graham Miles, Charlton again and Alex Higgins, was not to lose again in the tournament until the 1977 event at the Crucible Theatre. When defeat eventually came it was perhaps no surprise that it was to come at the hands of John Spencer who was to go on to take his third and final World Championship title. He was not to be denied a sixth and final world title though as he took victory at the Crucible the following year with a 25-18 win over Perrie Mans. From here although Reardon was to remain in the game for another 14 years, age and the demise of his trusty cue were beginning to cause him serious problems. 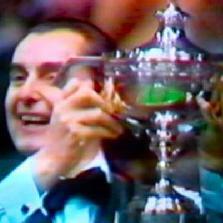 During 1982/3 he enjoyed something of an indian summer as he reached the World Championship final once again in 1982 but as it turned out he was to come unstuck against Alex Higgins in the final as the popular Northern Irishman took his second title. 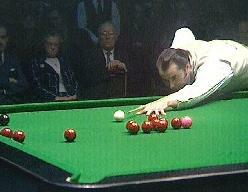 The final pieces of silverware of his career were to come at the 1982 Professional Player’s Tournament and the 1983 Yamaha International Masters but from here it was a downhill spiral and eventually he hung up his cue for good following a 10-5 defeat to Jason Prince in the 1991 World Championship qualifiers.